BioCell Collagen Reviews: Is It Really Suitable For Your Skin? BioCell Collagen Review: Ingredients, Side Effects, Detailed Review And More. Enhance tissue growth and development to facilitate quick repairs when and where these are necessary throughout your body. However according to reviews results are temporary. This product is manufactured and distributed by BioCell Technology, LLC. What are the Ingredients in BioCell Collagen? Hyaluronic Acid (10%): Holds cells that make up your tissues together, making your joints better protected from friction and injuries, and making your skin better hydrated. However it may cause allergic reactions. 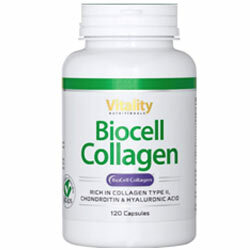 The recommended daily intake of BioCell Collagen is 1,500 mg daily. This product has received a Generally Recognized as Safe (GRAS) status by an independent panel of experts, with a certification for Good Manufacturing Processes for Food, both of which attest to this product’s safety and high quality. The manufacturer has guaranteed that the formula does not contain GMOs, gluten, soy, shellfish, fish, egg, milk, peanuts and sugar. 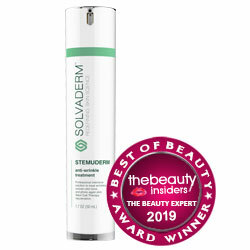 tested in multiple human clinical trials with more than 20 clinical studies that attest to this product’s efficacy and safety. However, no substantial evidence is available to prove it is effective. BioCell Technology was notified by the US Food and Drug Administration (FDA) in 2005 for the alleged medical claims it has stated which would require it to submit itself for review and approval of the FDA. Supplements are generally not required to be cleared by the FDA for distribution for as long as medical claims are avoided. Studies about supplementing with collagen remain inconclusive about whether or not consumers can benefit from supplementation. Dissenting BioCell Collagen reviews are practically not available. BioCell Collagen can really be convincing and, truth is, it just might hold the key to a better you. You just have to take note that, although supplements can have enhancing effects on your body, these generally aren’t allowed by the FDA to make therapeutic or medical claims. Also, this product do not offers money back guarantee.